Most taxidermists agree that creating a lifelike fish mount is the most difficult task in the field. Fish are particularly delicate and oily, making creating a resin cast of them difficult. The puffer fish is preserved for taxidermy much like any other saltwater fish, and is then filled to create its form after preservation. It is important to guarantee that all of the puffer fish has been preserved before inflating it and casting it in resin, in order to prevent rotting. Photograph the puffer fish immediately after catching it against a neutral background. Preserving fish can cause flesh discoloration, making it difficult to re-create in the mount. 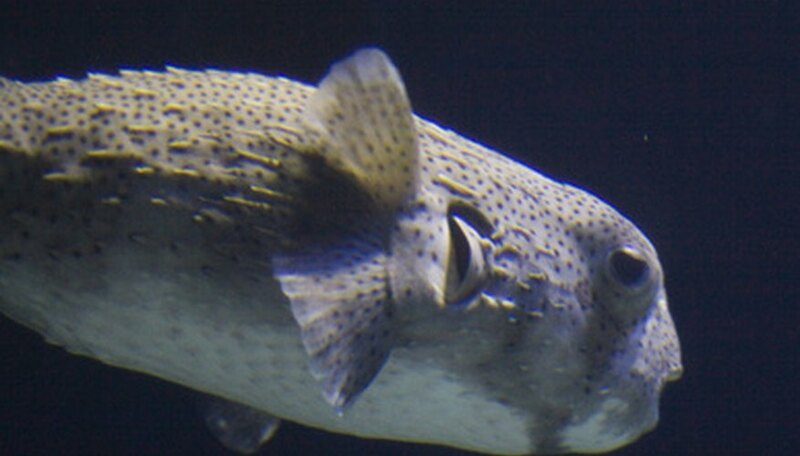 Photographing the puffer fish will make the process of re-creation easier. Poke holes in the skin of the puffer fish using a large needle. This allows the preservation chemicals to fully penetrate the skin of the fish. Place the puffer fish in a large jar. Fill the jar to the top with a 4-to-1 ratio of water to formaldehyde. Be sure that all of the puffer fish is covered by the preservative. Seal the jar and allow the fish to soak in the solution for one week. Soak the puffer fish in water for one day, then store in a jar of alcohol until it is to be mounted. Formaldehyde is a skin and eye irritant and is dangerous when inhaled. Take necessary safety precautions to prevent serious injury. Always use formaldehyde in a well-ventilated area while wearing safety goggles and gloves.